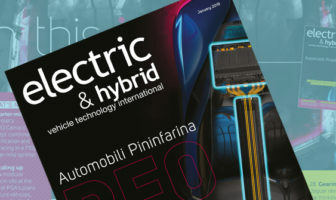 Download the Electric & Hybrid Vehicle Technology International App NOW to read the latest issue! 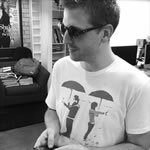 The App is free and gives you access to a library of back issues. OPPORTUNITY KNOCKS : The 2015 takeover of Pininfarina by Indian OEM Mahindra saw the company presented with an opportunity to reinvent itself. 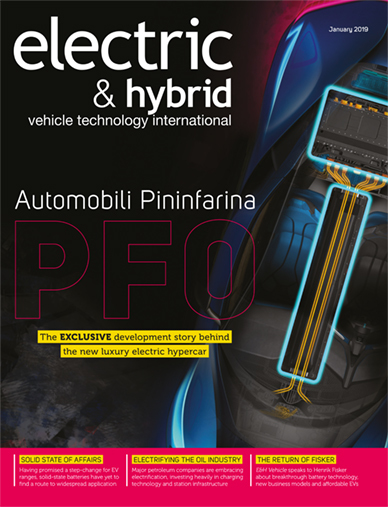 Enter Automobili Pininfarina, a newly formed electric sports car maker. DRAG ACT: Chevrolet’s eCOPO Camaro Concept offers a vision of how electric powertrains could slot into the vibrant OE performance parts market. PLUG AND PAY: A number of recent acquisitions and investments suggest big oil companies acknowledge EVs are not going away. Do the petroleum majors see the EV market as a threat to their core business, or an opportunity? STATE OF PLAY: Often heralded as the next step change for electric vehicle energy storage, could solid-state battery technology offer the range, power and safety advancements for the next generation of EVs?